Churchill, Manitoba is home to a wide variety of rare animal species. From the ferocious polar bear to the playful beluga whale, animal lovers who visit the Hudson Bay town can see a large number of interesting wildlife. One of the more beautiful creatures found in the region is the arctic fox (also called the snow fox or white fox). This small canid evolved to feature a thick, albino coat. This trait allows the arctic fox to blend in with snowy surroundings, easily catch its prey and hide from large predators like the polar bear. The snow fox was once abundant in arctic regions of the northern hemisphere. While some of the species sub-populations are still thriving, other communities (such as those found in Scandinavia) are considered endangered. Luckily, these animals are still numerous in Churchill. Thousands of visitors each year flock to the town to view the arctic fox and other varieties of wildlife that can't be found in lower latitudes. If you're interested in getting an up close view of Manitoba's arctic foxes, Canada Polar Bears can help. We've assisted people worldwide in booking their dream, Canadian vacations. Canada's snow foxes are very interesting creatures. They have adapted well to live near human settlements such as Churchill, but have not lost a bit of their natural, hunting instinct. Their hearing is very powerful, and can be used to locate prey under thick layers of snow and ice. When there is little food to hunt for, the arctic fox will scavenge for leftovers from the area's larger carnivores. What makes up an arctic fox's diet? The short answer is: any kind of meat it can find. The species is particularly fond of lemming, but has also been known to catch a delicious hare, carrion or other small prey if the opportunity arises. Don't miss your opportunity to see these beautiful creatures. Canada's fox population is stable, but if worldwide trends are any indication, this might not always be the case. Let Canada Polar Bears help you and your family get to Churchill as soon as possible. Our staff has put together over a dozen Canada vacation packages that are perfect for any nature lover. There's no need to worry if you can't find a plan that fits your needs. We have helped many families customize vacations to fit any schedule or budget. 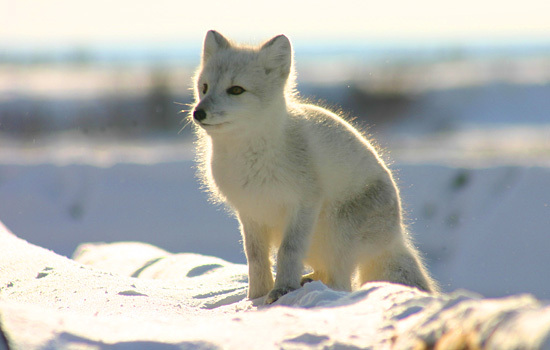 Need more information on View Arctic Foxes In Canada? Talk to one of our Canadian travel Insiders who'd be happy to answer all your questions.